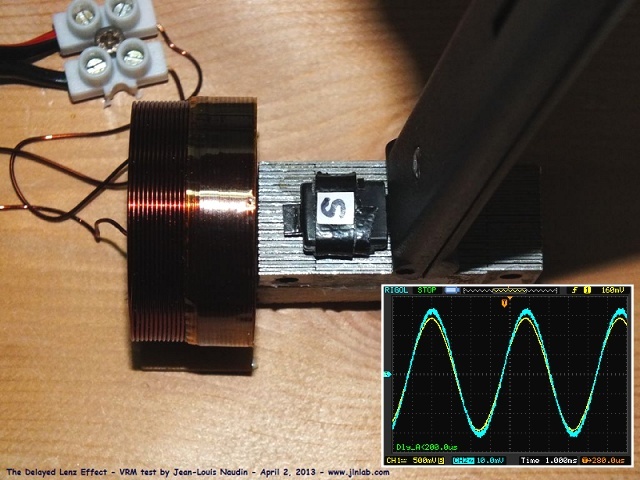 The separated wave form below shows where we would position the monopole magnet on the ferrite oscillator driver to benefit from "Lenz Propulsion". The SPDT switch would be positioned to trigger exactly there. The magnet on the other end would be in the center of the coil awaiting the pulse; Centered so it would attract on one side and repel on the other. Last edited by Allen Burgess; 04-22-2019 at 01:07 AM. Microwave door switch wedged in PVC "T" with a chopstick. You can see the magnet piston depressing the switch button on the bottom. Last edited by Allen Burgess; 04-23-2019 at 07:06 AM. Last edited by Allen Burgess; 04-23-2019 at 07:07 AM. The backing magnet allows the inductive kickback to drive the piston back and trigger the spring switch. This motor is oscillating in Adams resonance at unity. A recycling diode would loop the reverse current. The reverse kickback is acting as an opposition switch. The throw is merely a few millimeters, but half the power is generated for free. Last edited by Allen Burgess; 04-22-2019 at 11:52 PM. The "Inductive Kickback" current reversal acts as a phantom sister "H" bridge switch! Last edited by Allen Burgess; 04-23-2019 at 08:26 AM. The magnet piston can't travel past the center of the pulse coil core to work. This is an example of power from the delayed Lenz effect. I call it "Lenz Propulsion". The magnet stack gets a strong kick down free of charge; sufficient to trigger the spring switch and power the attraction stroke! The Flyback is generated from within the coil. The power stroke is delivered from the source outside the coil. Last edited by Allen Burgess; 04-23-2019 at 09:58 PM. One SPDT switch flyback reverse; The throw equals the length of the two magnet stacks and the connecting stator. This oscillator's power is awesome and over unity depending on the magnet strength and coil windings. The "Flyback" equals the strength of the attraction power stroke perhaps with the addition of a few backing magnets in attraction to the monopole. This may not be necessary. Last edited by Allen Burgess; Yesterday at 04:56 PM. Here's a scaled up version of the Adams resonator: This so fiendishly simple no one's ever thought of it before. Half the operating power from "Inductive Kickback"! Think of the great amount of D.C. BEMF it would generate just chattering away with no heat loss. 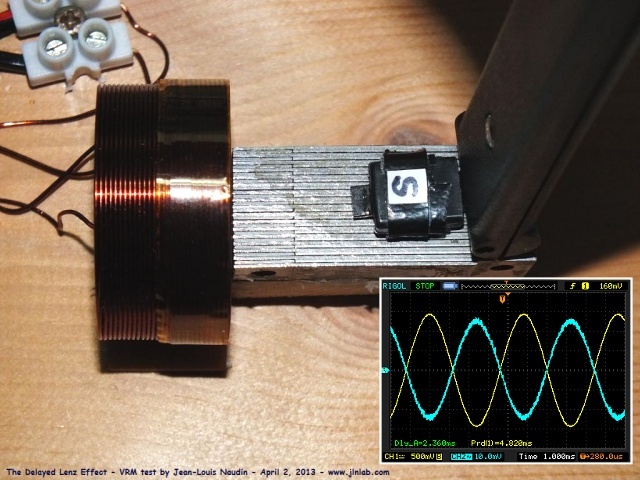 The beauty of this "Flyback Monopole Oscillator is that the COP is proportional to the weight in copper of the coil and the strength of the oscillating magnets. Last edited by Allen Burgess; Yesterday at 05:40 PM.